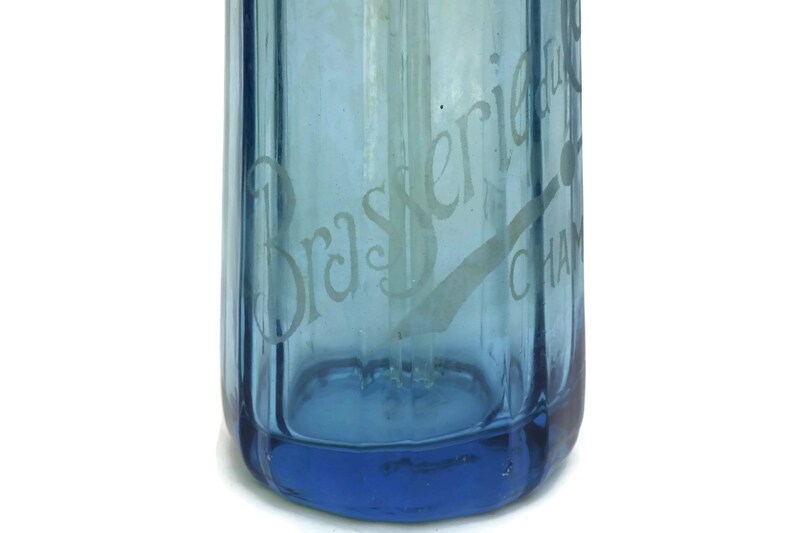 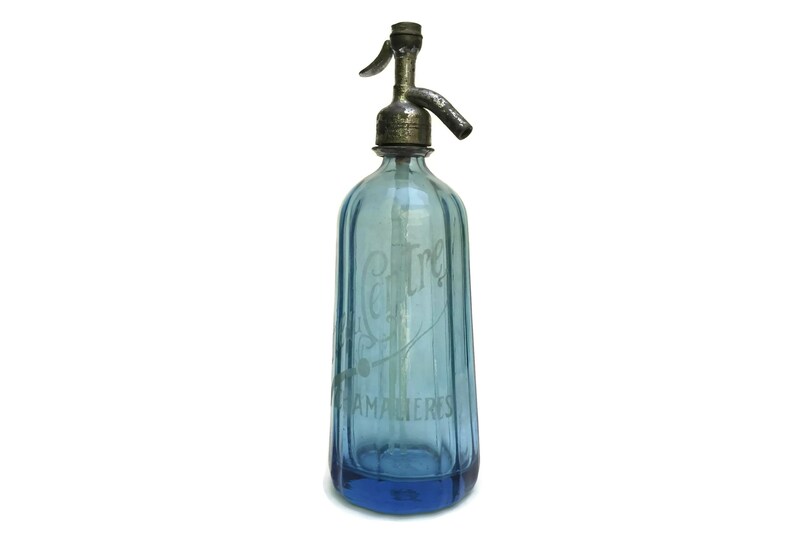 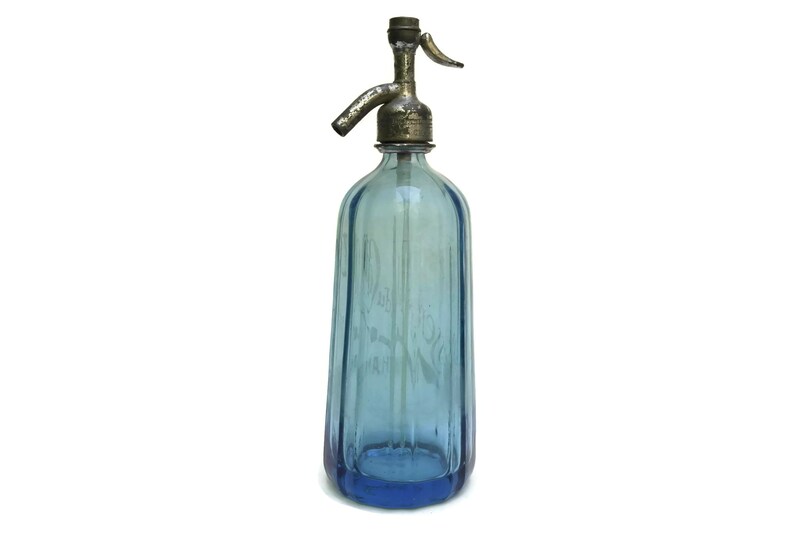 A magnificent French blue glass seltzer bottle dating from the early 1900s. 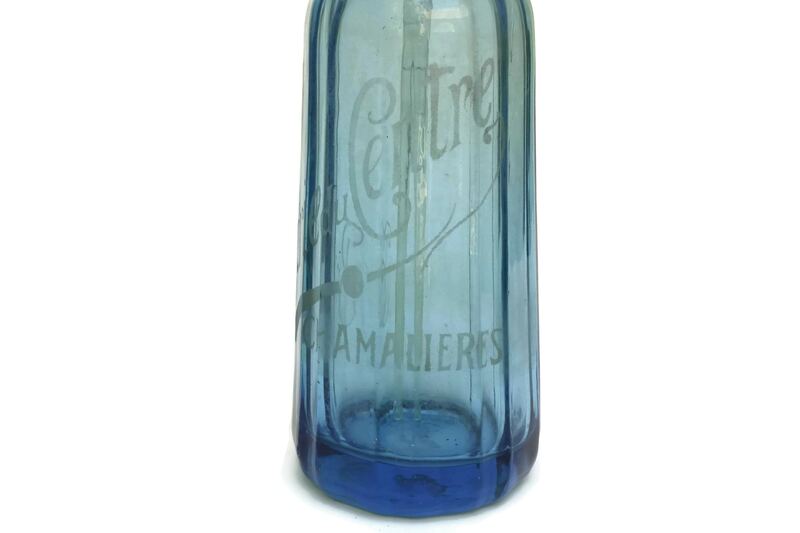 The soda siphon has been etched with an ornate design advertising the French bar Brasserie Centre in the town of Chamalières. 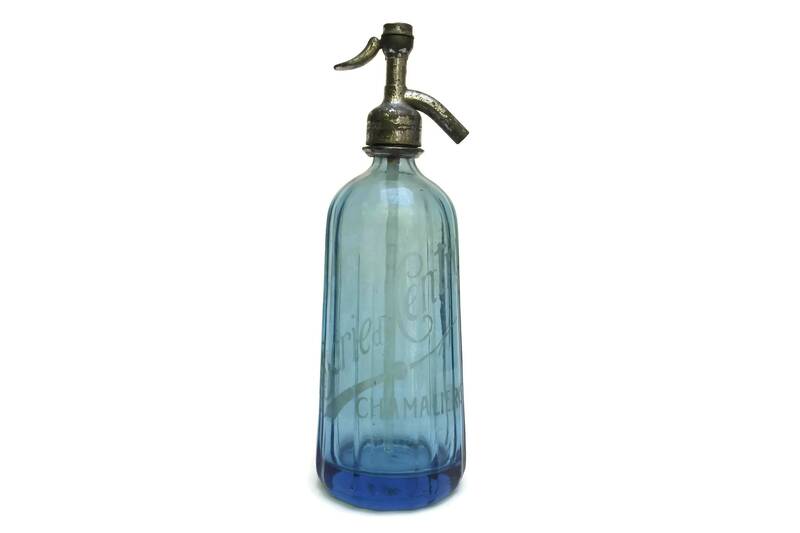 It has a metal spout that has been stamped with the same name. 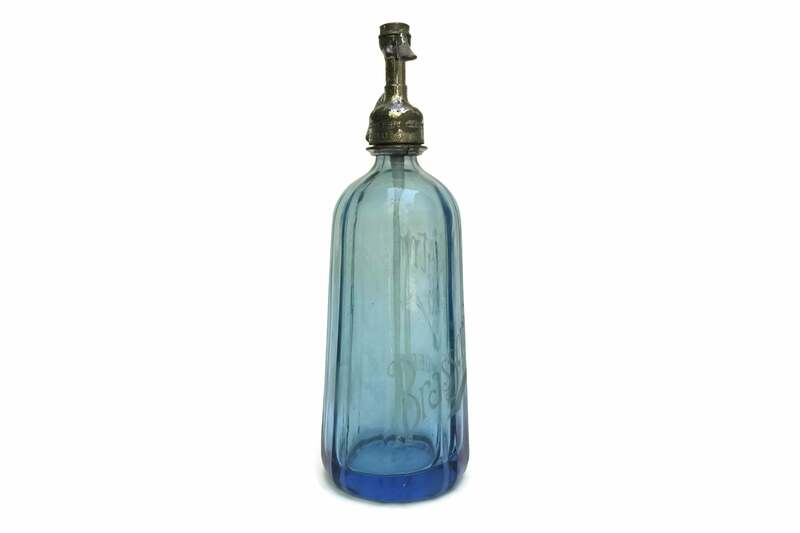 The collectible bottle has its original internal glass pipe. 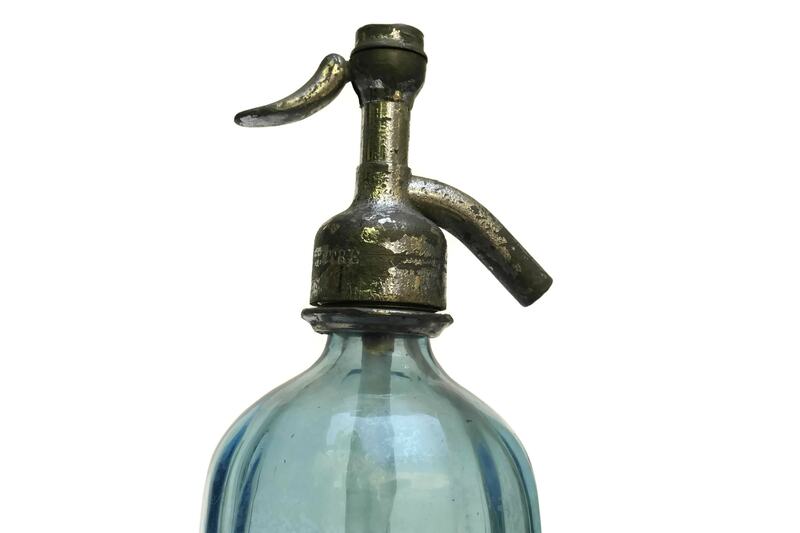 (30 cm x 9 cm). 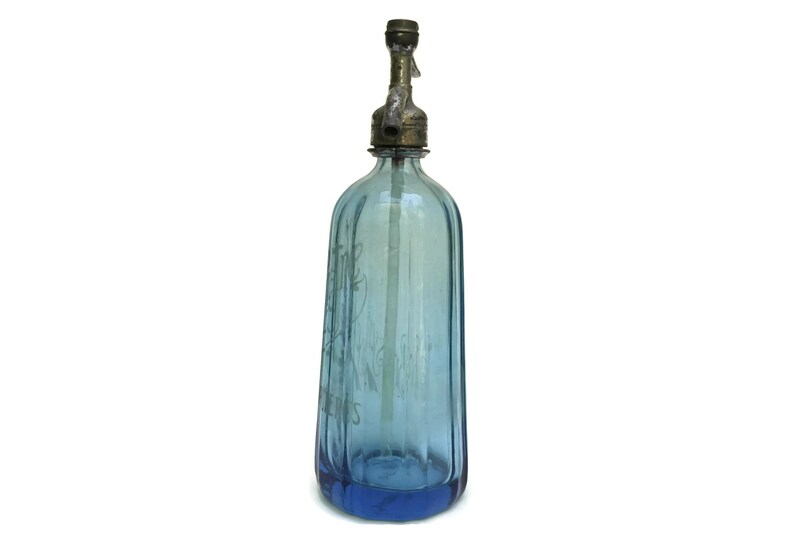 The antique French glass soda siphon is in good condition with age appropriate wear including surface scratches and marks. 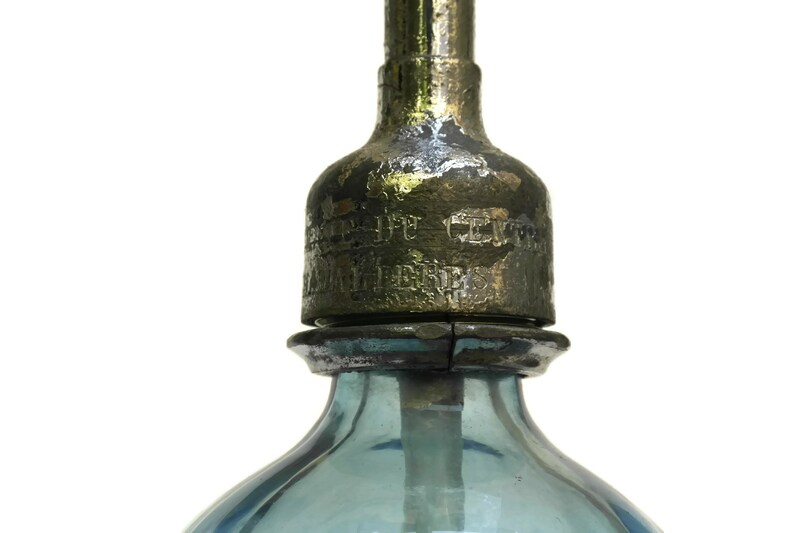 There are some small bubble inclusions to the glass. 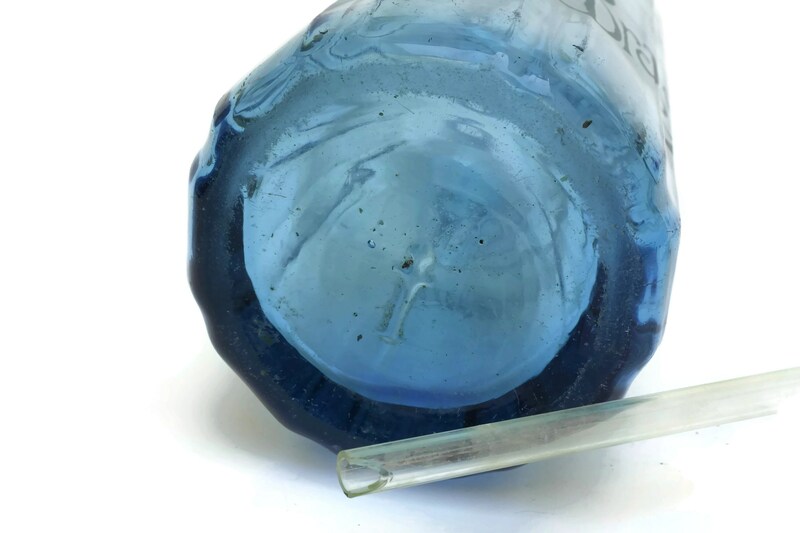 The tip of the inner glass pipe is chipped.